The most recent room I seen was that tiny. The best way to tackle such rooms is to make use of custom carpentry. 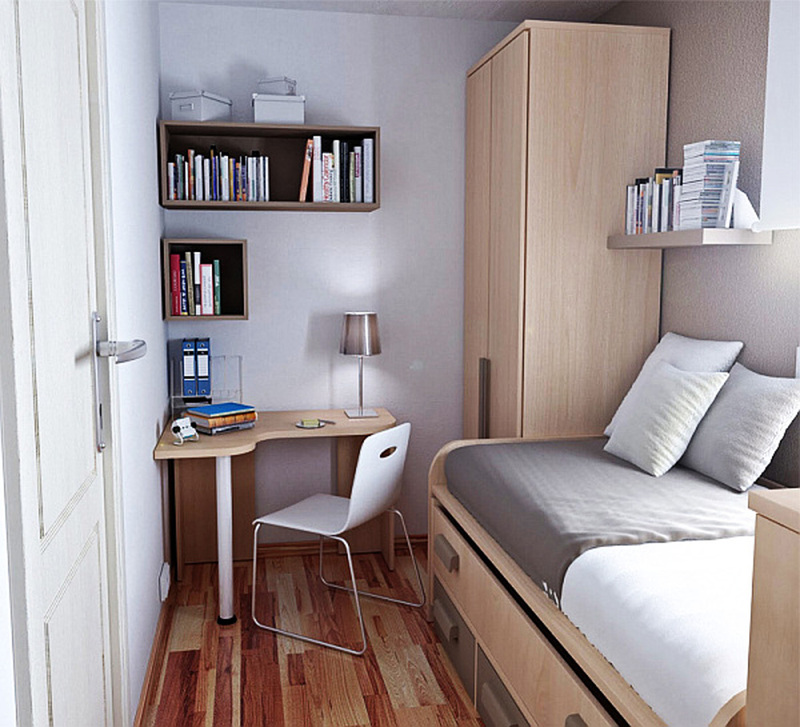 Designs like the one in the pictures are creative ways to maximise space. Pictures taken from pinterest. 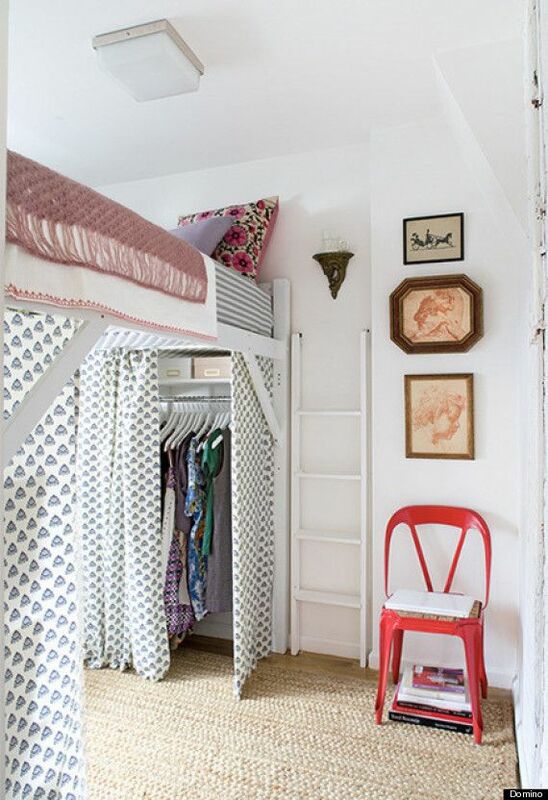 I like the idea of a covered closet using the curtains. Once a while, you can change the curtains and you get a instant different feel to your room. For the first picture, I will suggest to change the closet to a pole based one instead. It creates the feel of a larger space.